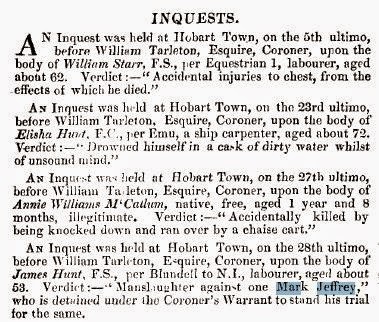 Mark Jeffrey (1825-1894) was called a “Port Arthur flagellator” by James Hunt, the man he was arraigned for wilfully murdering in February 1872 at the Supreme Court, Hobart. The verdict returned by the jury at the trial was manslaughter and the sentence was life. Mark Jeffrey may have been photographed at the Hobart Gaol while awaiting his sentence at this trial. Many of these “Supreme Court men” were photographed there by Thomas J. Nevin as early as February 1872. 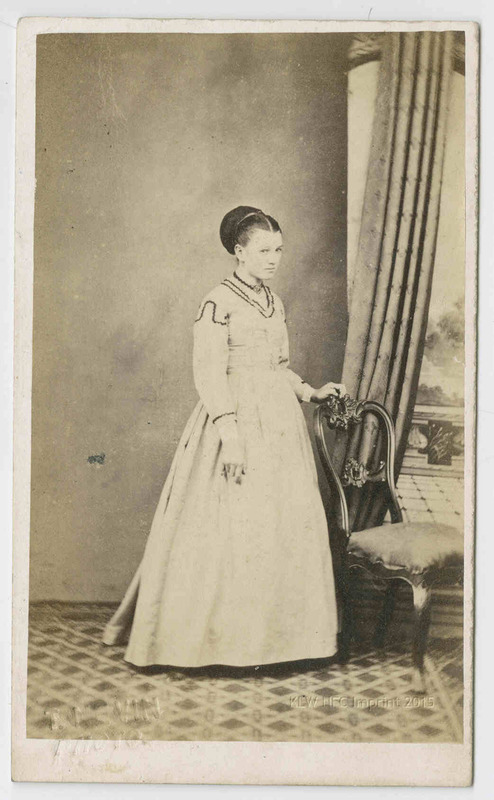 The booking shot (below) of Mark Jeffrey, dated to 1877, has survived as a print from Nevin’s negative. 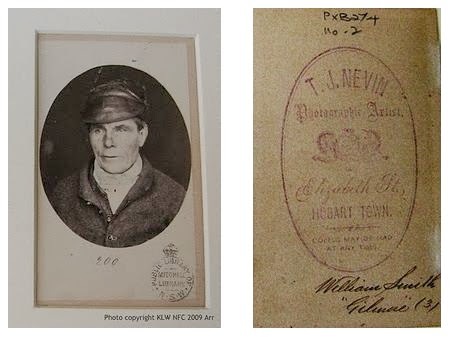 It was salvaged from the photographer’s room and Sheriff’s Office at the Hobart Gaol by John Watt Beattie ca. 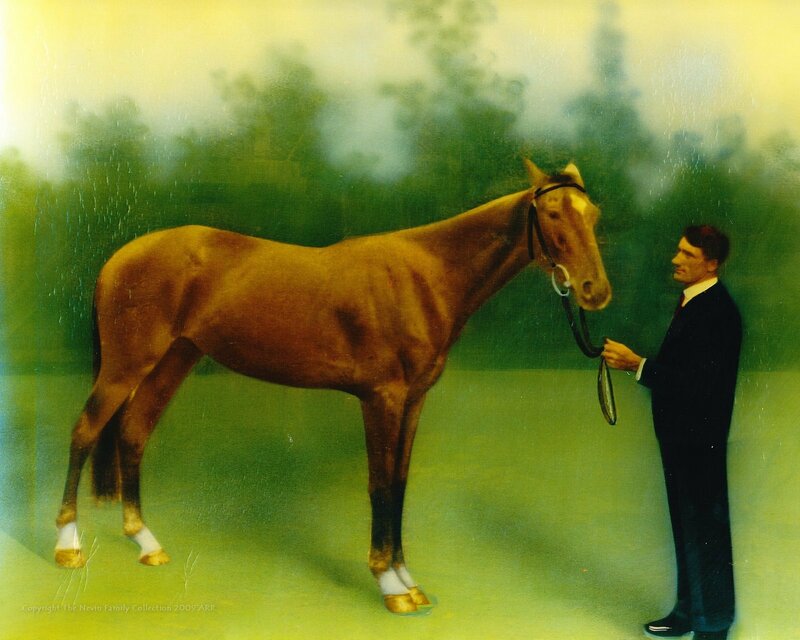 1900 and reproduced for display in Beattie’s convictaria museum in Hobart. 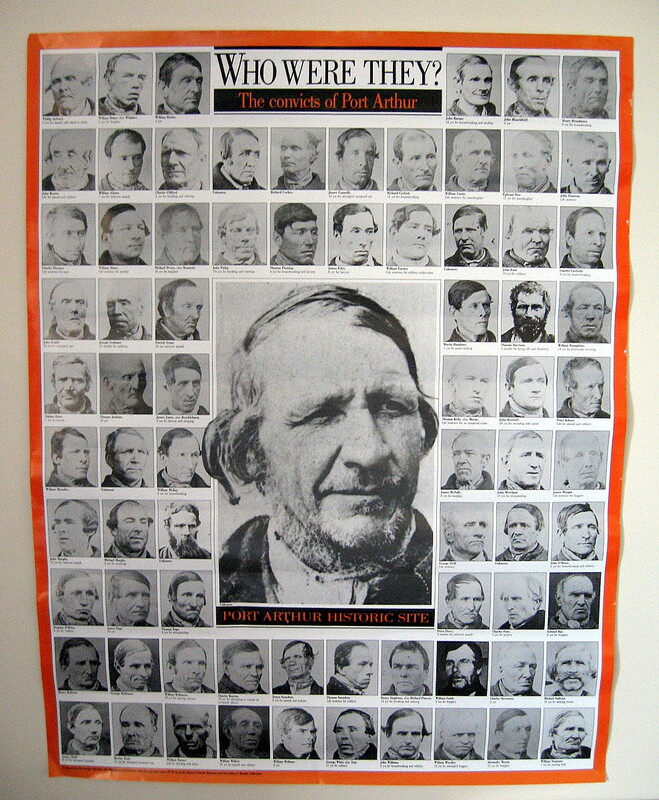 Dozens of these negative prints of notorious criminals were reproduced by Beattie, plus two hundred or more in standard cdv format, which have survived from the donation of his collection to the QVMAG Launceston in 1930. This copy is held at the State Library of Tasmania. 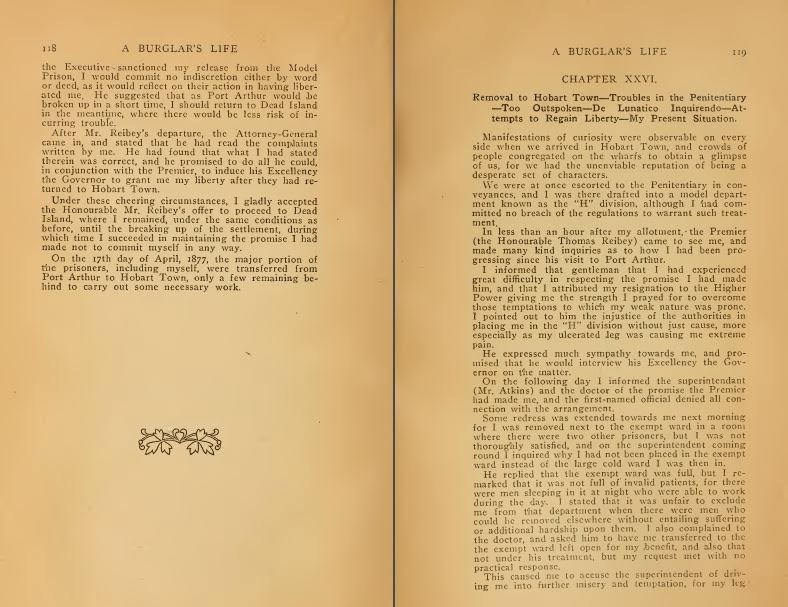 A year before Mark Jeffrey’s death in 1894, a book about his life, ostensibly his autobiography, was published as A burglar’s life, or, The stirring adventures of the great English burglar, Mark Jeffrey : a thrilling history of the dark days of convictism in Australia (1893) by the Launceston Examiner and Tasmanian Office. 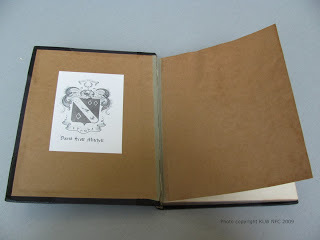 It was reprinted in various formats well into the 20th century, but the most popular edition which appeared in 1900 from Melbourne publishers Alexander McCubbin, has since raised questions of authorship when republished in 1968 by W. and J. E. Hiener for Angus & Robertson, Sydney. 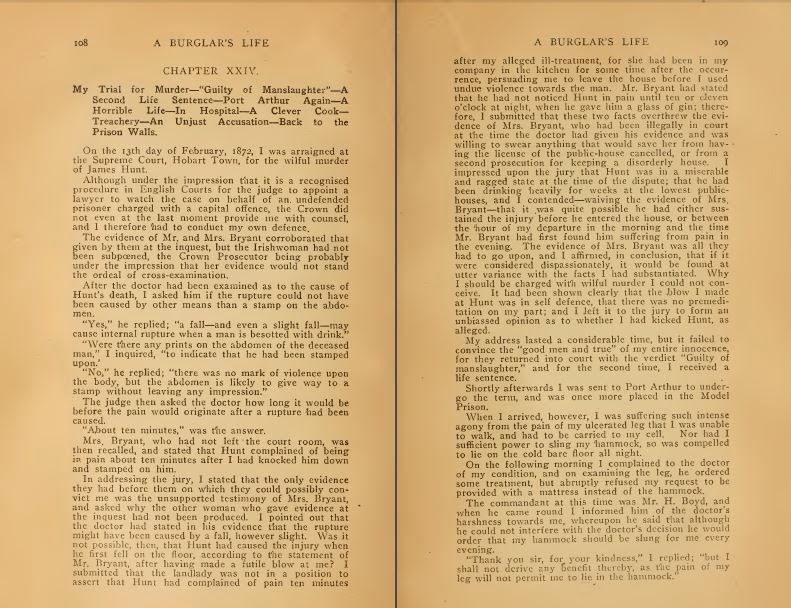 The probable author according to these editors was not Mark Jeffrey but James Lester Burke who produced a similar volume on the life of bushranger Martin Cash. Burke’s role can be termed variously as ‘editor’, ‘biographer’, ‘amanuensis’, ‘co-author’ ‘scribe’ or ‘author’ or simply ‘co-author’ (Emby 2011). 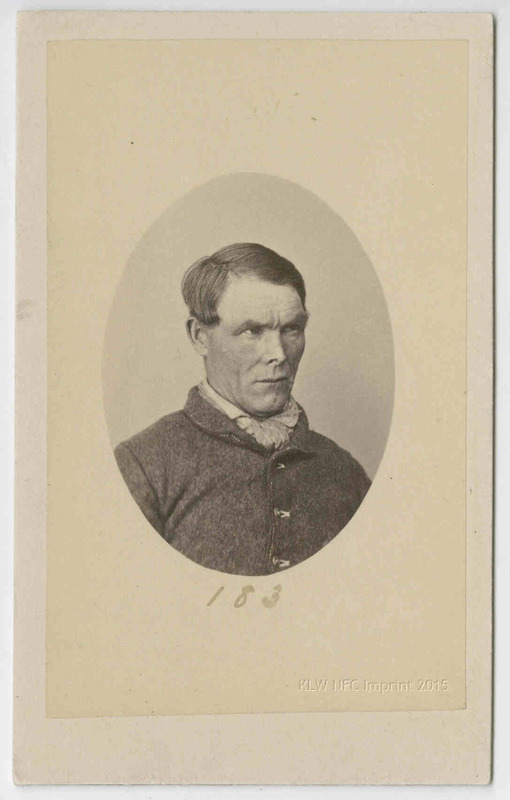 Transported convict and petty criminal James Lester Burke (1820-1879) made Mark Jeffrey’s acquaintance when Burke was discharged to Port Arthur as a signalman from the Brickfields Depot in Hobart on 3rd December 1876. His crimes included forgery (15 October 1875) and cutting electric telegraph wires. 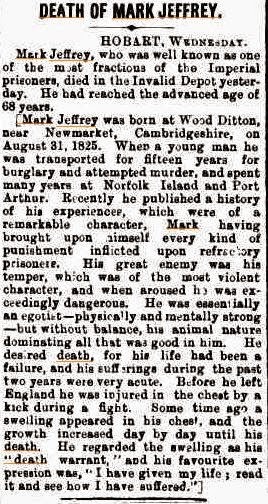 He died in 1879, but Jeffrey died 15 years later, in 1894 (see obituary below), not 1903. Prisoner Mark Jeffrey’s so-called autobiographical account has become somewhat of a benchmark for those who assume that the Port Arthur prison on the Tasman Peninsula was still fully functional up to its closure in 1877. Perhaps it is still widely studied in schools and colleges, and proposed as an accurate witness account of the penal system. 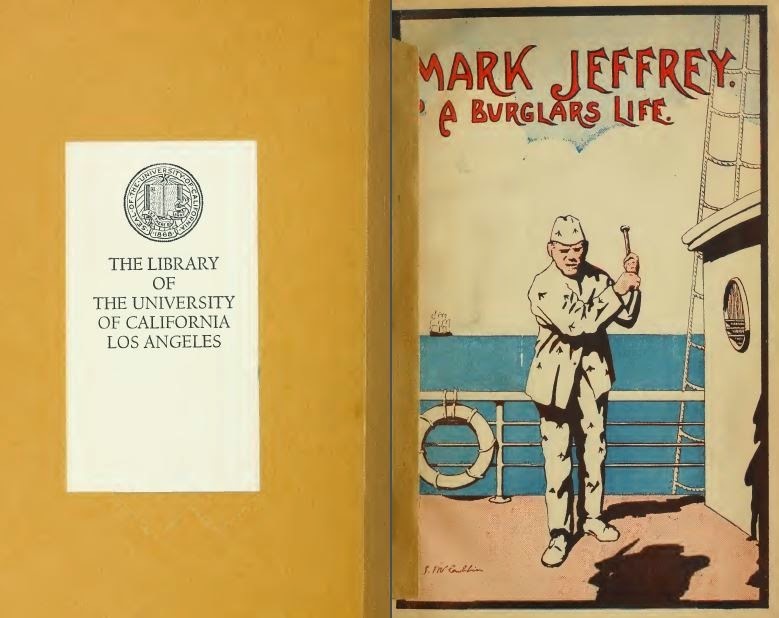 But Mark Jeffrey remained as one of a few dozen paupers and invalids unable to work up to that date. 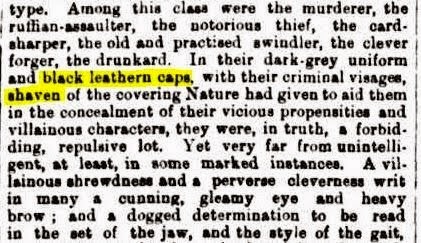 The criminal classes, on the other hand, were all transferred back to the Hobart Gaol in Campbell Street at the request of Parliament in July 1873, where they were photographed by Thomas J. Nevin on arrival. The Port Arthur prison was in ruins and semi-deserted, according to Marcus Clark’s account of his visit to the site and his meeting with the gouty and largely indisposed Commandant A. H. Boyd in mid 1873 (Argus, July 3, 12 and 26 July 1873). Mention is made in the last paragraph on page 109 of the Port Arthur Commandant “Mr. 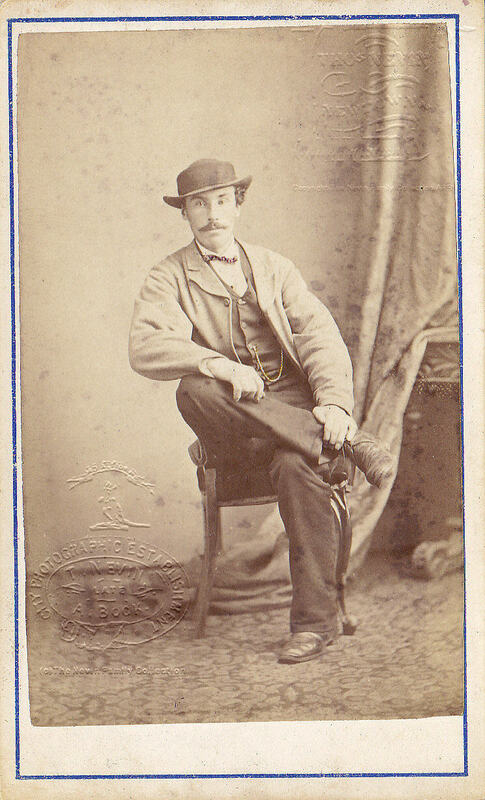 H. Boyd” [sic] in 1872. Notice the missing initial “A” from the full name, Mr Adolarious Humphrey Boyd. Conveniently confused with Thomas H. Boyd the Sydney Photographer of the 1870s-1880s who did not photograph Tasmanian prisoners, late 20th century commentators have used this simple omission of an initial to hype the inglorious A. H. Boyd as THE photographer of “Port Arthur convicts” at Port Arthur (Reeder, Long, Ennis, Crombie, Clark). A. H. Boyd was not a photographer by any definition of the word, nor had he given or was given any mandate to provide the police with mugshots. 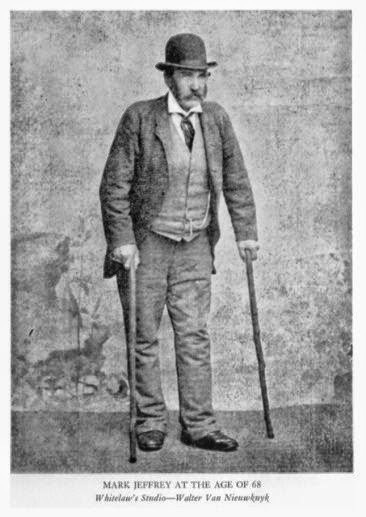 Just as Mark Jeffrey’s date of death was deliberately falsified from 1894 to 1903 to give the impression that he was alive in 1900 to give a first-hand testimony to his Melbourne publishers, the same motivation lies behind those who have wanted A. H. Boyd to be credited as a photographer of prisoners at Port Arthur, citing the “H. Boyd” mentioned on page 109 of this hugely popular book. 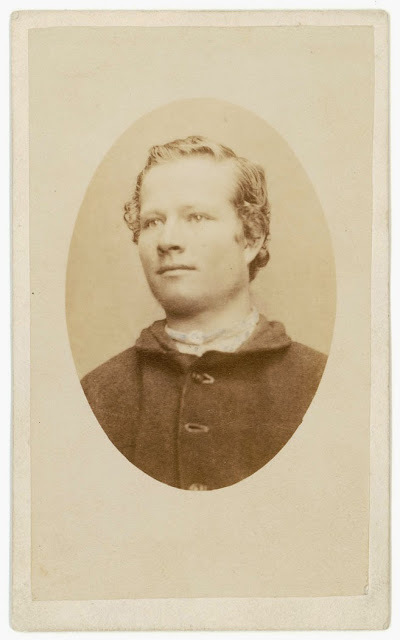 As soon as Mark Jeffrey arrived from Port Arthur at the Hobart Gaol on 17th April 1877, he was locked up in the model prison in “H” division of the Hobart Gaol, although, as he says, he “had committed no breach of the regulations to warrant such treatment” (p.119). He was subjected to standard procedures for all arrivals: every prisoner awaiting trial was photographed, bathed, shaved, and dressed in prison issue clothing. 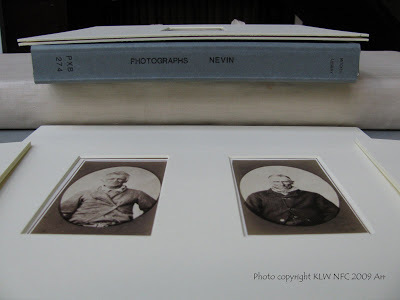 Jeffrey knew as soon as Nevin photographed him in that week of April 1877 that he could protest at being treated unfairly because he was not under warrant. Recto and Verso of photograph of William Smith per Gilmore 3. 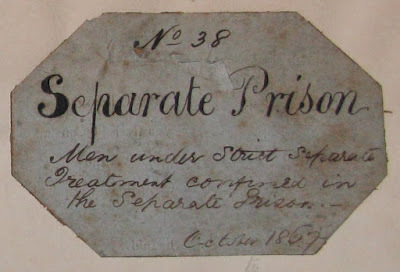 The Separate or Model Prison records of the Port Arthur penitentiary are held at the Mitchell Library, State Library of NSW. These records are from the weekly Tasmanian police gazettes. 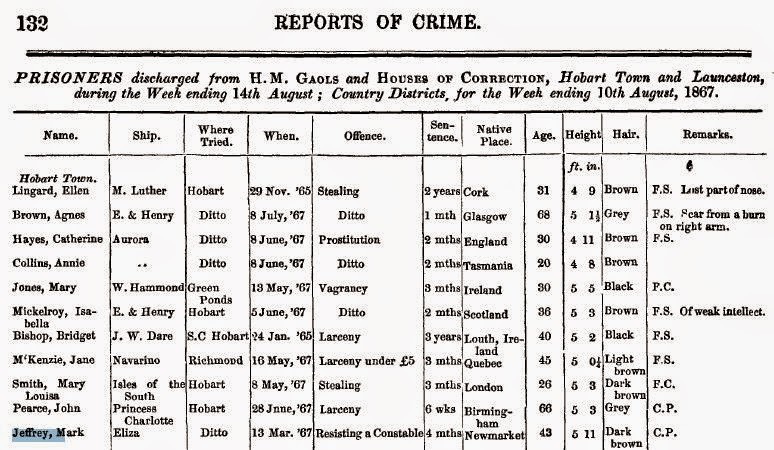 They document Mark Jeffrey’s various misdemeanours and petty crimes from 1866 up to the manslaughter sentence of 1872. Mark Jeffrey was discharged from the Hobart Gaol after serving 4 months for resisting a constable, per this notice of 14 August 1867. Mark Jeffrey was discharged from the Hobart Gaol after serving 2 months for assault, per this notice of 13 November 1867. 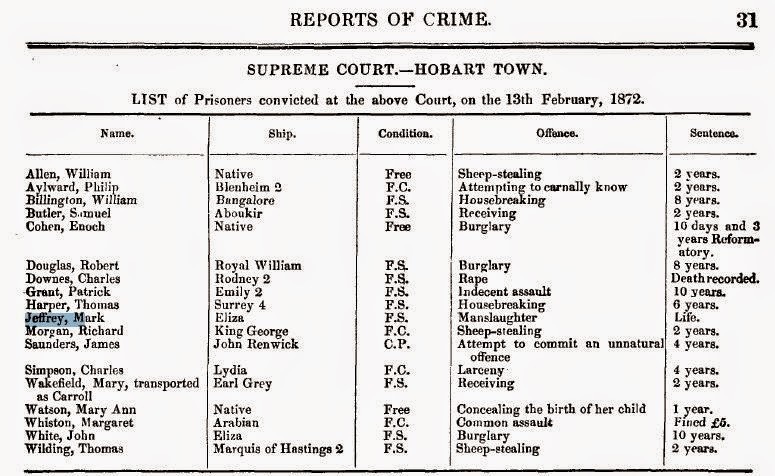 Mark Jeffrey discharged to Hobart Town gaol as a pauper per this police gazette notice of 19 November 1870. 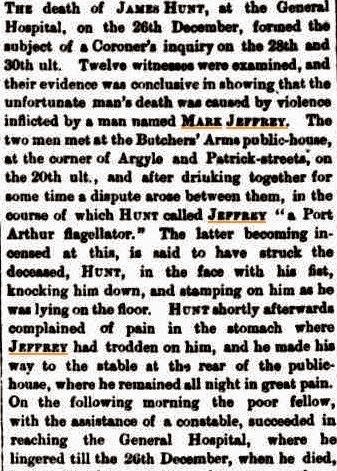 The verdict of manslaughter delivered against Mark Jeffrey at the inquest on the body of his victim, James Hunt, per this police gazette notice of 5 January 1871. THE death of JAMES HUNT, at the General Hospital, on the 26th December, formed the subject of a Coroner’s inquiry on the 28th and 30th ult. Twelve witnesses were examined, and their evidence was conclusive in showing that the unfortunate man’s death waa caused by violence inflicted by a man named MARK JEFFREY. The two men met at the Butchers’ Arms public-bouse, at the corner of Argyle and Patrick-streets, on the 20th ult., and after drinking together for some time a dispute arose between them, in the course of which HUNT called JEFFREY “a Port Arthur flagellator.” The latter becoming in-censed at this, is said to have struck the deceased, HUNT, in the face with his fist, knocking him down, and stamping on him as he was lying on the floor. HUNT shortly afterwards complained of pain in the stomach where JEFFREY had trodden on him, and he made his way to the stable at the rear of the public house, where he remained all night in great pain. 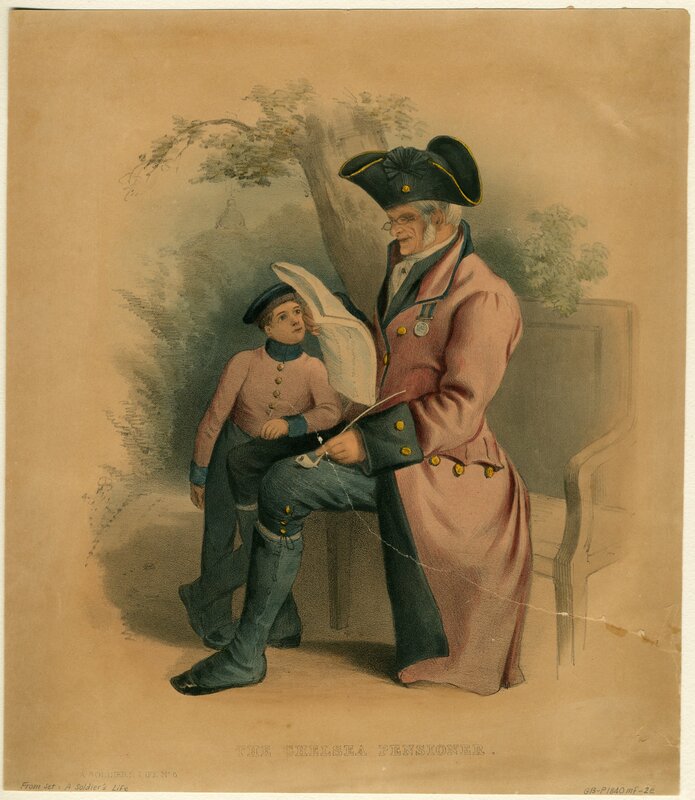 On the following morning the poor fellow, with the assistance of a constable, succeeded in reaching the General Hospital, where he lingered till the 20th December, when he died, having in the meantime, however, made a declaration to the effect that, when in the Butchers’ Arms, being partly under the influence of liquor, he called JEFFREY a ” flogger,” when the latter beat him about the head with his fist, knocked him down, and “jumped” on him. 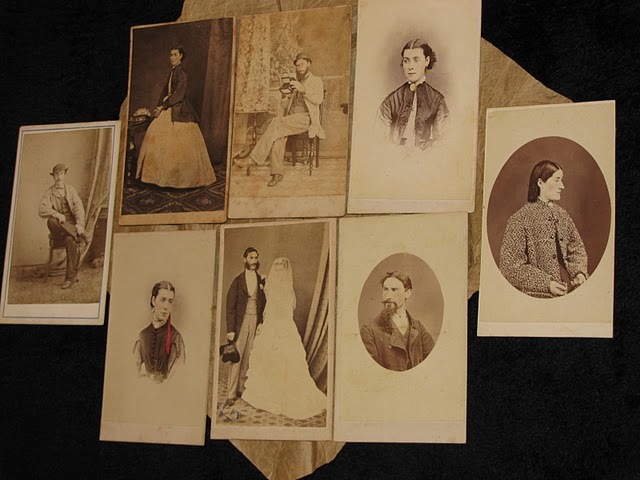 A post mortem examination was made on the body, when it was found that death had been occasioned by violence and was not the result of disease. This was the gist of the evidence laid before the Coroner’s jury on Thursday and Saturday last, although there were various minor details adduced, calculated to assist them in arriving at a decision as to the manner in which the deceased, HUNT, came to his death. The Coroner also gave them material assistance in his summing up. He reviewed the salient points in the evidence, which he was of opinion conclusively proved that death was occasioned by violence inflicted by MARK JEFFREY. The jury would, he said, require to consider the circumstancos under which JEFFREY inflicted these injuries, so as to enable them to arrive at a conclusion as to the crime of which he was guilty. The Coroner expressed his belief that justifiable homicide was completely out of the question, as the mere fact of the deceased’s calling him a ” Port Arthur flagellator” was not sufficient to justify JEFFREY in knocking him down and kicking or jumping on him ; it would, therefore, either amount to manslaughter or murder. He explained the distinction which the law drew between the two, and quoted a case bearing a strong analogy to that under consideration, in which a schoolmaster, after knocking a boy down, stamped on his stomach, causing injuries which eventually resulted in the boy’s death, and the crime in that instance was held to be murder. The Coroner expressed his conviction that, under the whole circumstances, there was no course open to the jury but to bring in a verdict of wilful murder against the man JEFFREY. The jury, however, appeared to think differently, and after some deliberation announced their verdict as being one of manslaughter. Whether they regarded this as the conclusion to which the evidence undoubtedly led them, or were influenced by feelings of sympathy for the accused, or looked upon it as a matter of little moment what their decision was, considering that the dealing with the person most deeply interested in the matter did not rest with them, it would be difficult to say. It is possible they may have attached smaller importance to the evidence than others did. They may have accepted the statements of two of the witnesses, that JEFFREY ” kicked” the man in the stomach, and of another that he “jumped” on him, a statement also made by HUNT himself in his dying declaration ; and yet have failed to see that the fatal results which the treatment occasioned involved JEFFREY in any more serious crime than manslaughter. It may have occurred to them that as the deceased lay prostrate at JEFFREY’S feet the latter must have known that a jump or a kick from a man of his proportions, especially when applied to the stomach of another occupying the position which HUNT was in, would most probably lead to serious results ; and they may still have thought that they were not justified in finding JEFFREY guilty of the murder of the unfortunate deceased. If the jury entertained such opinions after carefully considering tho evidence, they undoubtedly discharged their duties conscientiously in bringing in a verdict of manslaughter. It is the duty of men sitting on juries to banish all feelings of vindictiveness or sympathy, and to deal with the questions before them dispassionately and impartially; and unless they do so they will find themselves wanting in the discharge of their duty to society, or to individuals influenced by their decisions. Persons sitting on Coroner’s juries must feel that they have nothing whatever to do with the consequences which another may have to suffer from their decision, and sympathy for an accused individual should accordingly find no place in their consideration; but having the evidence before them, they should return what to the best of their belief would be a true verdict, according to the facts adduced. It is well known that sympathy has in numerous instances been allowed to override justice, but it is difficult to believe that such feelings influenced to a very great extent the jury in this case. They may, however, have underrated the importance of the position in which they were placed. Knowing that it was in the power of the ATTORNEY-GENERAL, as the grand jury of the colony, to arraign a man for murder, even though their decision might be in favour of the lesser crime, manslaughter, they may have regarded their verdict as being nothing more nor less than a matter of form ; but if such were the case they sadly misapprehended their functions. Sworn to return a true verdict in accordance with the evidence before them, it was their duty to have considered it as thoughtfully and carefully as though the final disposition of the matter rested with them, and their verdict should have been entirely based on the evidence on which alone they were asked to give a decision, apart altogether from any action which might be taken by the ATTORNEY-GENERAL, or the jury at the Supreme Court sittings. Very probably the jury who sat on this inquiry on Saturday considered they had fulfilled their duty in bringing in a verdict of manslaughter against MARK JEFFREY, but there are persons who question the justice of the decision The Coroner, immediately on being made acquainted with the determination at which the jury had arrived, informed them that he was bound to accept their verdict, but said he did not scruple to toll them he differed from it, and expressed his belief that the ATTORNEY-GENERAL would put the man on his trial for murder in spite of their finding. This decidedly plain and unmistakable expression of opinion on the part of the Coroner, on the results of the half hour which the jury occupied in considering their verdict, appeared to have taken them about as much by surprise as their decision took the Coroner. However, JEFFREY was committed to take his trial at the next criminal sitting of the Supreme Court, and it remains to be seen on which crime he will be arraigned by the ATTORNEY-GENERAL. The square parentheses enclosing the second paragraph do not belong to the printed original article. 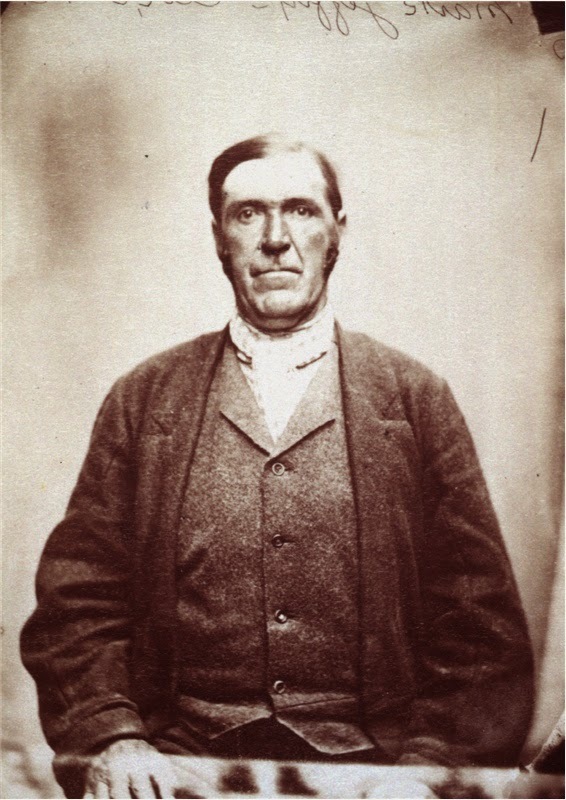 This photograph, ostensibly of Mark Jeffrey aged 68 yrs old, was taken at Percy Whitelaw’s studio in Launceston Tasmania in 1893 just months before his death in 1894.